Chaperhome is changing the world of personal security. Chaperhome connects you with friends and family via your smartphone and has features to help you feel safer getting home, day or night. Whether you want to make sure a family member, teenager, schoolchild or loved one gets to a location on time, are heading home alone, want some security in numbers with friends, or just for that extra protection and peace of mind, Chaperhome has it all. Companion: With timely taps, you can keep friends and family reassured that you are safe on your journey. Send a timed reminder for a future update. Destination: Travelling from one location to another,parents and friends (Protectors) are automatically updated for a complete or incomplete journey. Groups: A simple button to alert your nearby friends for assistance. There is an option to send a range of messages to a chosen set of friends on a night out. Updates: Have all your live updates from companion, destination and police news all in one easy to use location from friends and family. Be a Protector: Allow users to send their location, estimated time of arrival and status to ensure a safer journey. As a Protector you will be automatically alerted and then can monitor and act upon information from the user if something goes wrong. The idea came from talking with my girlfriend. We noticed that there was a lack of mobile safety apps that allows for; friends to feel safe on a night out, people walking home alone after working late at night, and people heading home. The ones that we had seen and tried had a focus on danger and user input only, which for the average person is not easy to use and makes you feel more unsafe. Our aim for Chaperhome was to create a holistic, modern, and simple approach to safety. 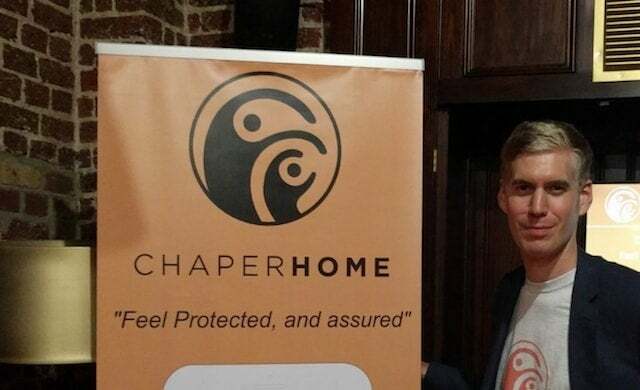 After the initial idea, we had a look online to see if there was any solutions to answer our problem, and as well as conducting market research and extensive pilot testing, we found there was a definite need for Chaperhome. We also found that the ideas that are currently available are either too simple, or not reliable. So, with this we realised we had a good gap in the market that we could jump into – and the response has been overwhelming! Having started my career in Silicon Valley USA and then in the UK with large IT consultancies like IBM and BAE Systems for five years, I have moved into the tech start-up world. After a year working for a fintech company in the silicon roundabout, I saw an opportunity to setup my own company. It has always been my dream to run my own business. However, I knew that I needed the right skills and industry knowledge before I could take the leap. With the ever-increasing need for personal security, and advancements in personal and mobile technology, Chaperhome was born. At the moment, I have been self-funding and using an angel investor to get the concept out on the market. When Chaperhome starts to grow and I need to start moving to the next level, I will be looking for further investment. The app is free and will be until we gain a core momentum. We need to spread the word of Chaperhome and build our app base. At the moment it’s about focussing on making people that little bit safer going from one location to another. The biggest challenge has been all of the requests, lots of great ideas have come our way and we are developing as fast as we can. We have had to prioritise and focus on the key requests, but make sure we stick to our core values. We now have a great stable application that is the foundation for Chaperhome. The tap screen for companion live. This is a new idea and it is something our users want to use and play with. As one of the focal points on the app, we knew this was going to be a good idea. and provided the initial ‘wow’ for designing the rest of the application. Write down the key reasons why you are doing your start-up and have clear milestones. There are always moments when you feel like giving up and waiting to pull out. Everyone goes through it, you are not alone and you need to believe in your idea and yourself. I want to keep creating and growing. I love being an entrepreneur. I hope I can have Chaperhome growing and doing well with another idea or two on the way. At the moment there are so many possibilities and ideas to be involved with and with the current tech space, anything seems possible.